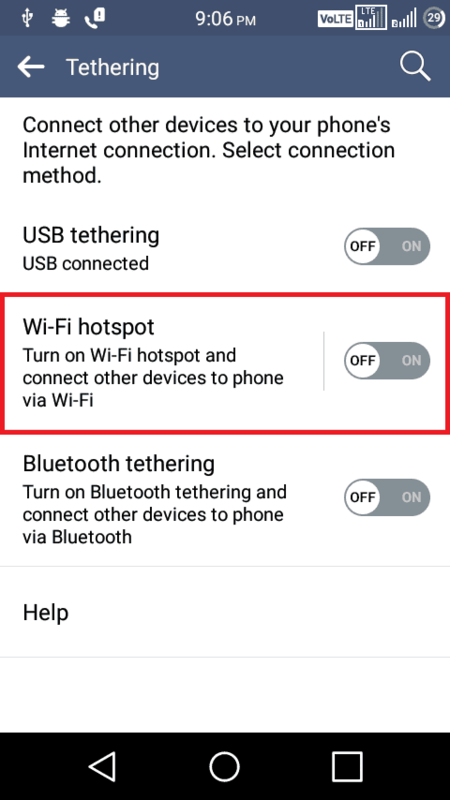 Wi-Fi tethering is basically sharing your Android Internet with other devices. By this, your smartphone can be used as a wireless router. Nowadays every Android phone comes with tethering support, where you can use this feature to connect your laptop or other devices to your Android phone for the internet. There are three different types of tethering on Android. Before we move further, make sure your mobile data is enabled. if not, turn on your mobile data. after that follow the below steps. 1. The first step is, go to Android “Settings” and search for “Wireless and Networks” and tap on that. 2. Now tap on “Tethering and Portable Hotspot” option. 3. Inside Tethering and Portable Hotspot, you can find all tethering options such as USB tethering, Wi-Fi hotspot and Bluetooth tethering. 4. 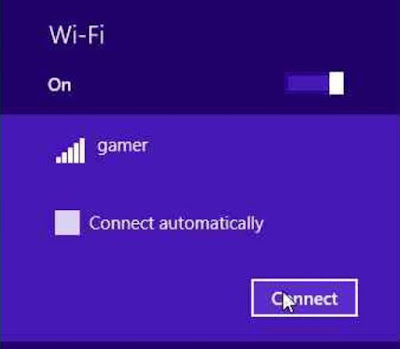 From that list click on “Wi-Fi Hotspot”. 5. 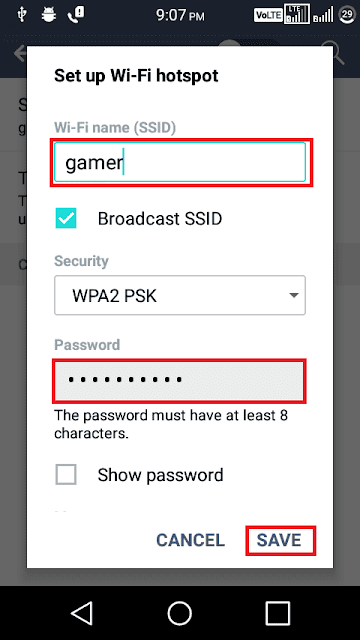 Now click on “Set Up Wi-Fi Hotspot”, a popup window will appear where you can give a name to your hotspot, set up a password and you can also set the maximum devices to connect. give the necessaries and save. 6. The final step is to turn on the Wi-Fi hotspot by tapping on toggle present in the top right corner. On your personal computer or laptop, Go to “Network Option” where you can see all the hotspot names which are available around you. then find your hotspot name and connect to it by providing the password which you have set before on your android phone. Advantages: Wi-Fi Tethering is more efficient and provides high internet speed as compared to Bluetooth Tethering. 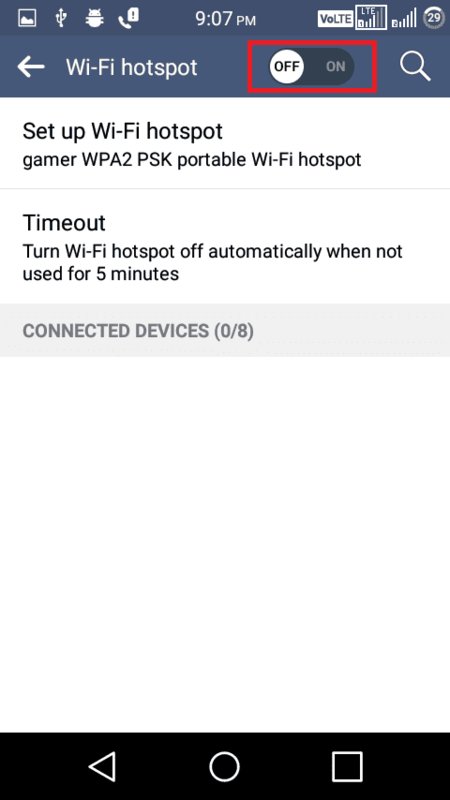 And you can also connect a number of devices (up to 8 devices) using wifi hotspot. If you think this article was useful, then feel free to share this post with your friends.